They represent some of the UK’s most obvious but least recognised success stories. British architects are at the heart of global culture. 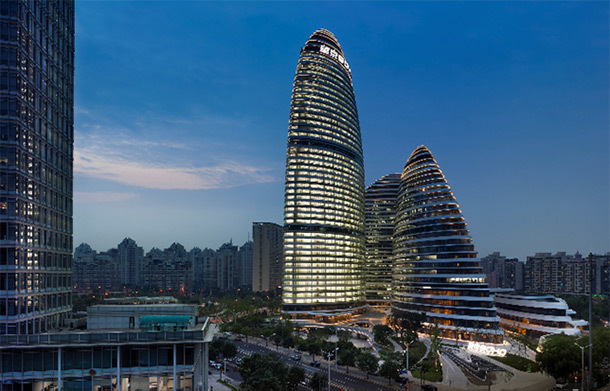 London based architect Zaha Hadid’s Wangjing SOHO: Bejing (photograph by Virgile Simon Bertrand). The roll call of successful British architects designing for the wider world is extensive. Paul Finch, editor of Architect’s Journal, puts their achievement down to economic squeezes at home. It is driving creative and ambitious architects to look to abroad for their commissions. He identifies the oil crisis of the mid ‘70s as a trigger to British architecture’s international ambitions. Today the same opportunistic world view means that UK based architects and designs have the ‘the attitude of free. For him necessity really is the mother of international invention. 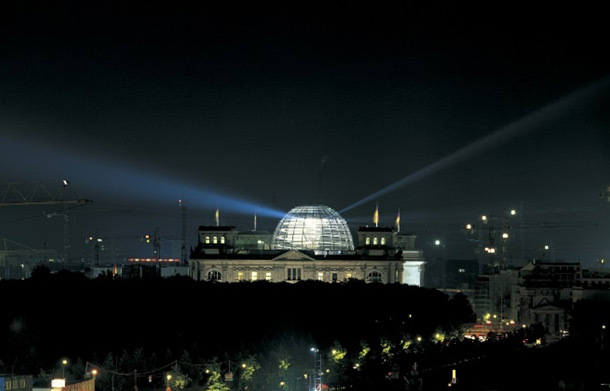 Norman Foster’s reworking of the Reichstag: Berlin (photograph by Nigel Young). Of course, architecture isn't just about the lofty peaks of tower blocks. Anyone who watches ‘Grand Designs’ will know that Kevin McCloud is always talking about attention to detail. He celebrates the achievements of Britain’s micro builders, equally rooted in a creative design process. In truth, Britain is a nation of builders, take a look outside. A great deal of this country has buildings on it and someone in a pair of wellies has created most of the green bits. A desire to make the best out of the small space available to us another facet of our architectural acumen. The Royal Institute of British Architects emphasises a third X factor. Good design saves money and adds value. It may be that the great monuments to commerce give the wrong impression. Architecture isn't just about, size, power and big money. It’s also about the schools and colleges we learn in, the hospitals we heal in and the places where we all work. Getting the environment right makes everyone more efficient, productive and happier. There is a danger that in the rush to cut costs we lose more than money from our building projects. To avoid diminishing the quality of life that good design brings, it is necessary to identify the value created by thoughtful and responsive architecture. 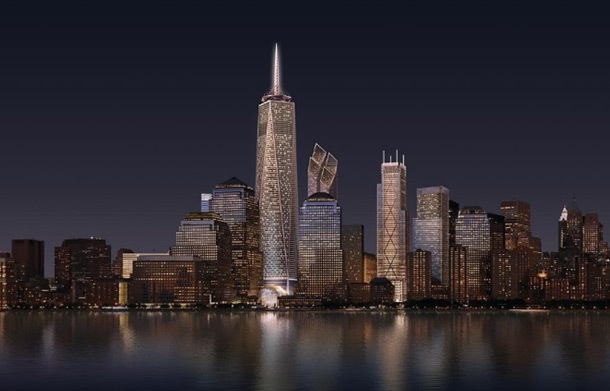 Richard Rogers’ proposed 3 World Trade: New York (copyright 2015 Rogers, Stirk, Harbour & Partners LLP). But there is another explanation of our success and that is the supportive IP infrastructure available to our designers. Copyright and unregistered design rights arise on creation. Registered design rights provide low cost, efficient ways of identifying and protecting new designs. The 2014 Intellectual Property Act adds to the legislation already benefiting British designers. It strikes a balance protecting and rewarding designers for their ingenuity. At the same time it creates an open environment in which experimentation may not be restricted by legal threats. On the one hand unintentional use of a design subsequently registered by another person may be permitted. On the other it is now a criminal offence to intentionally copy a registered design. The successful management of copyright and design are vital if architects and designers are to succeed at home and abroad. Architecture is both a science and an art. Teasing out what is necessary to hold the roof up or let the light in and where the art kicks in takes a creative’s imagination, an engineer’s knowledge and a lawyer’s judgment. For all builders it pays to understand design registrations, the scope of copyright and unregistered design protection. It seems doubtful whether a building would be an "article" within the meaning of designs legislation so only copyright is likely to be relevant in most cases.